Plantar Fasciitis is the inflammatory response on the junction of the plantar fascia to the heel bone. Typical symptom is morning pain or resting pain. It is also referred to a scary name: bone spur. The Plantar fascia is a thick band of tissues runs from the bottom of the heel bone to the five toes. It works as a support of the 3D structure of the foot that includes the medial arch (the most obvious inner foot arch), the lateral arch and the transverse arch (the arch across five toes). The attachment site of the plantar fascia is close to the inner side of the heel bone (Medial Calcaneal Tuberosity) where is a common site of inflammation if there is injury. The plantar fascia supports the foot in a so-called "Windlass system". The plantar fascia connects the heel to the toes so that the tension in the fascia holds the bones of the foot arch up in their position. The arch can be further raised up (supination) to perform as a functional rigid lever if the toes (especially the big toe) bend upwards. When we walk and the heel leaves the ground, the toes are bended by the ground reaction force so that the tightening of the plantar fascia can supinate the foot without the use of muscles activities. However, if the pressure from the above is too great, the tension in the plantar fascia will be increased and once it exceeds the limit, the tissue tears off and inflammatory occurs. The pressure from the above may related to the body weight, or excessive foot pronation (high arches or flatfoot). If it is not treated properly, bone spur may form at the site of attachment. 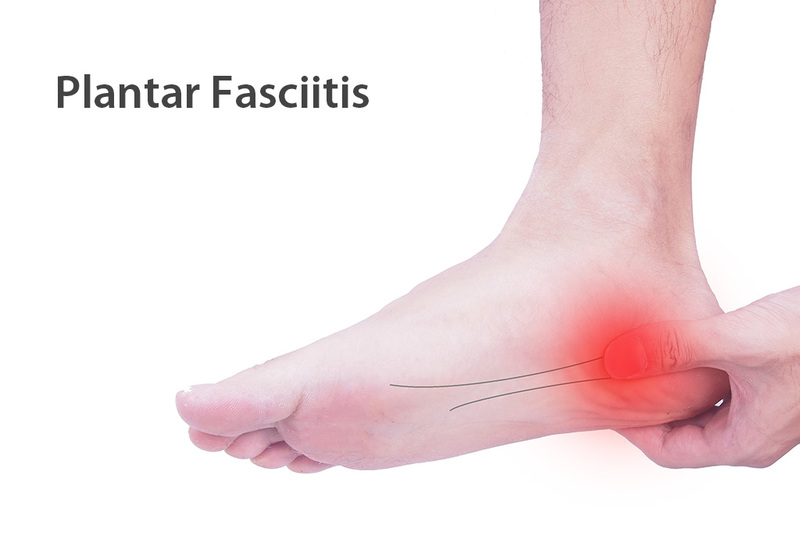 There is a misconception of plantar fasciitis that the pain is caused mainly by the bone spur. Actually the bone spur is usually pain-free but only the surrounding inflammatory or calcified tissues hurt. Rest or reduce activity level. 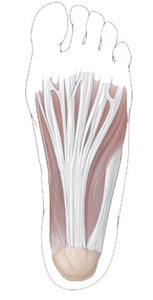 Stretching of the calf muscles is recommended since the calf muscles connects to the heel bone from the above and plays tug of war with the plantar fascia. Icing on the painful site when the pain is severe. 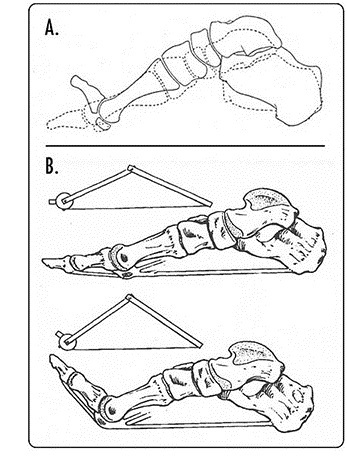 Biomechanics evaluation on the hip, knee and foot. Foot biomechanics plays an important role on plantar fasciitis. As the foot pronation causes collapse of the arch and thus tigthen up the plantar fascia, leading to further injury and non-healing. Knee alignment is also evaluated as knock-knee may place excessive pressure on the inner side of the foot, causing excessive collapse of the arch in weight-bearing condition. Stretching of the calf muscles in daily basis. 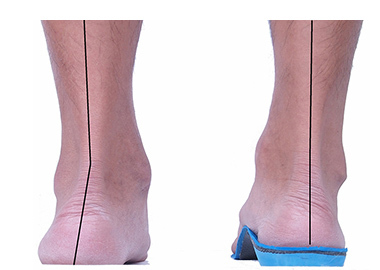 Biomechanics Insoles that maintain the good body alignment. Biomechanics Insoles helps to reduce excessive foot pronation (arch collapse) and thus relaxing the plantar fascia and reducing the tension in the attachment site on the heel bone.